Available in 8 - 10 and 12 inch thickness. 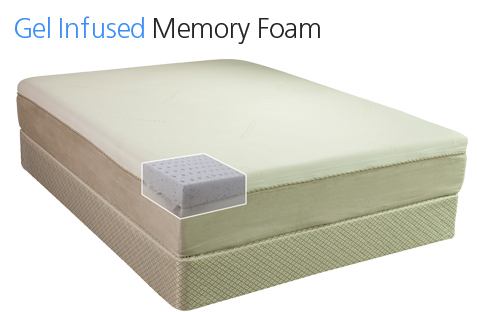 Eco Conscious Ceri Pur-US Memory Foam. HD Poly Foam Support Base. Circular Knit Blend. Premium Ultra Suede Border. performance, indoor emissions and environmental stewardship. Nu Gel 12" "Gel infused"
This model has 4" of high density Eco Conscious Memory Foam, 2.5" of premium memory foam and 1.5" of Gel Infused Memory foam that keeps the body cooler than regular memory foam. 8” HD Poly Foam Support Base. Premium Organic Cotton Circular Knit cover, 15 yr. warranty. 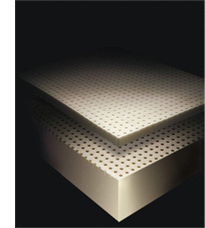 Model I Latex Mattress 12"
This latex model is 2 sided with a firm and soft side. It has a 6" latex core. On the soft side it has 2" of 24 ILD latex and a plush quilt with 1" of hyper foam. On the firm side it has 2" of 40 ILD latex and 7/8" firm foam quilt. Overall height is 11.8". There is no visco memory foam in this mattress. We invite you to compare today's Craftmatic® Memory Foam Mattresses before you buy a Temper-pedic® Memory Foam Adjustable Bed. There are two major differences. 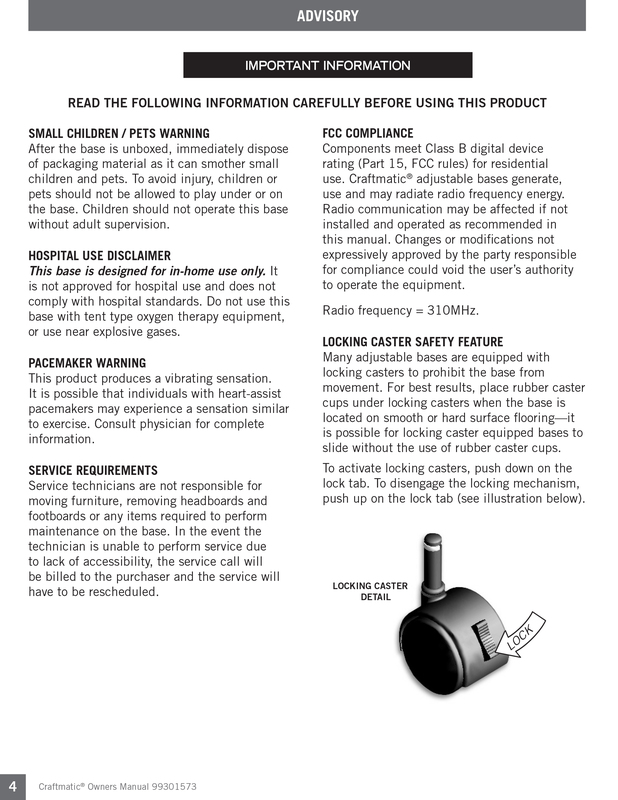 All Craftmatic® Adjustable Bases are assembled with the highest quality standards in the U.S.A. ¦ Tempur-Pedic® is not! 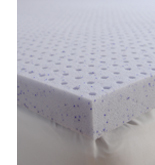 Craftmatic® offers a full 30 day In Home trial, Tempur-Pedic® does not accept returns on the base. But Most Of All Craftmatic® Offers Lower Prices - Compare Quality & Price, You Could Save Hundreds, Even A Thousand and More - vs Tempur-Pedic® - DeluxeBed - BellaFina - Rhapsody - AlluraBeds - Cloud Supreme and Cloud Luxe models. We believe you'll love our Memory Foam models because they cost less! 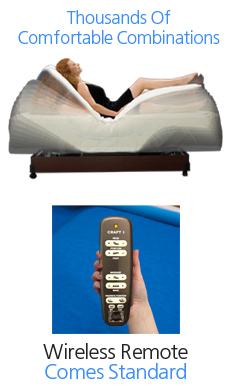 Our Space Age Memory Foam Mattresses is similar in concept and design, although they are not exactly identical. But our Craftmatic® Memory Foam Mattresses are manufactured to offer you maximum support and comfort when combined with an adjustable bed system. Equipped with full-body wave massage combined with a 30 minute timer help melt away the stress and strain at the end of the day. This most affordable premium sleep system also offers your own personal optional soothing heat control. Multiple programmable positions allow you to raise your head and legs to over 1001 posture perfect positions. The programmable memory feature allows setting the precise positions you find that have given you the maximum comfort. The Model I beds Memory Foam adjustable bed Mattresses also offers you the ability to silence your partner from snoring without having to wake them up. Using the Model I amazing wireless remote control you can raise or lower the head of their portion of any dual size system. Sleeping in an upright position may Reduce or Ease Light and Occasional Snoring.